UDAAP presents concern to many third party risk and compliance managers. Even more so, it causes much confusion. 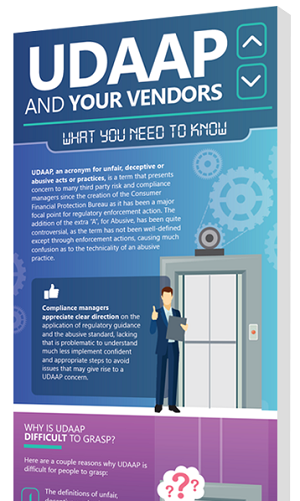 This infographic will guide you through what you need to know about UDAAP and add clarity to what to do as it relates to your vendors.